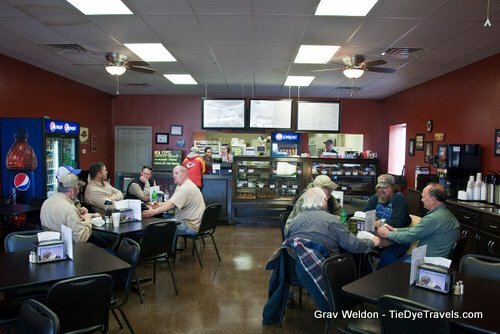 Batten’s Bakery may have one of the strangest lineages of any Delta restaurant I know. 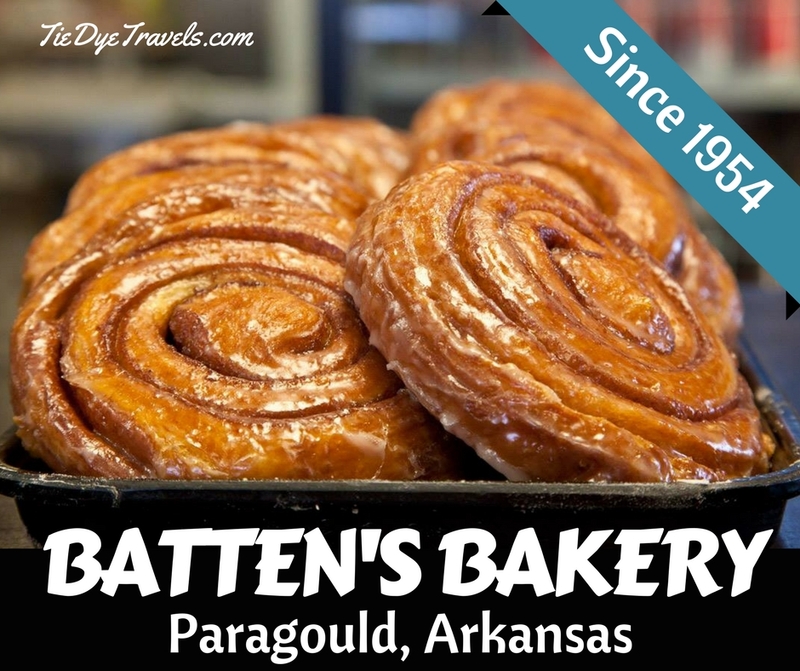 See, Mike Batten is a Batten who owns Batten’s Bakery in Paragould — but he may not be the Batten you are looking for. 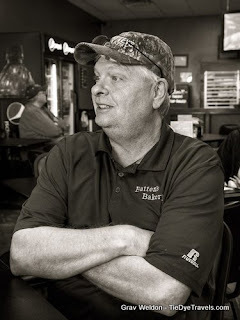 In fact, though Batten’s Bakery has been around since 1954, I don’t believe Mike has been around that long — and besides, Albert Batten wouldn’t have had a clue who he was. 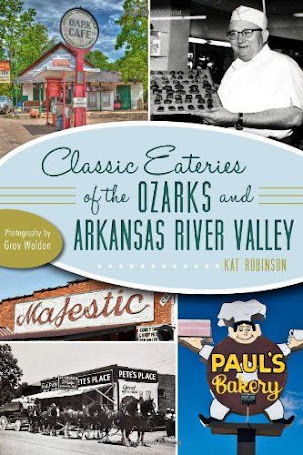 That doesn’t change the power of the name of the oldest bakery in northeast Arkansas — nor does it invalidate the family’s connection to pastry-making. Confused? Let me enlighten you. Albert Batten started making doughnuts and selling them on Saturday and Sunday mornings way back in 1954. It wasn’t much of an operation at first, but it became a community staple. Mr. Batten would get up early in the morning and make doughnuts and sell them until they were gone. Customers say he didn’t believe in day-olds, so if a regular came into the kitchen garage late in the day, he was apt to throw a few extra in to make sure they got gone. They were a bargain, too – at 50 cents a dozen. Over the years, the offerings expanded to cakes, pastries and such. A few individuals even claim that Elvis Presley was once spotted there downing a bearclaw — though the veracity of such a statement is doubtable. 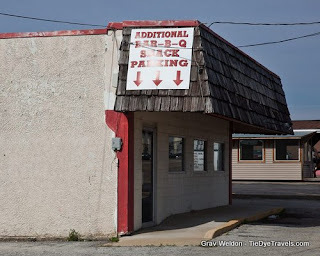 Eventually, the little garage kitchen got to be too small for the operation, so in 1965 Mr. Batten moved out and east half a mile on Kingshighway to a spot that sat kitty-corner to Dog N’ Suds (which is still in operation today). While still small, a couple of people could come in and sit and have breakfast in the little eatery. 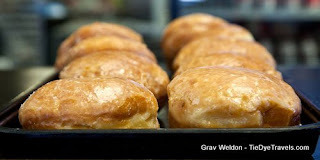 Mr. Batten also made doughnuts for local grocery stores to sell, and his golden rings became the standard for the area. Mr. Batten made that bakery go for decades, but when his health waned he was ready to pass it on. In 1980, Bonnie Abbott, who had worked there since she was a young woman and who reportedly never worked at another establishment, bought it from Mr. Batten and ran it for another 20 years. In the 2000s, Leon Johnson bought the place and ran it for four years — through one of the worst financial times for bakeries anywhere, with the rise in prices of eggs, milk and flour. bakery. 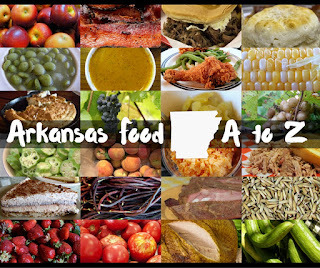 They’ve managed to collect many of the recipes used by both Albert Batten and by Bonnie Abbott, and they turn out a goodly number of baked goods six days a week for the citizens of Paragould. 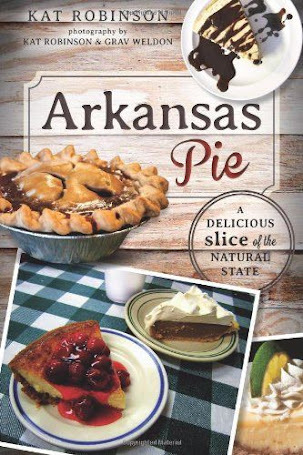 As I mentioned in Arkansas Pie: A Delicious Slice of The Natural State, Batten’s Bakery offers one of the singular traditional pies available anywhere – a chocolate old fashioned handpie that’s filled with cocoa, butter and sugar – not custard and certainly not pudding. The flavor of this pie, its flaky consistency and its density all remind me of the good things about growing up in Arkansas. It’s certainly a pie a grandmother would have conjured. with your coffee. Doughnuts are, understandably, the hot item at breakfast, but the restaurant has also become known for its huge danishes. 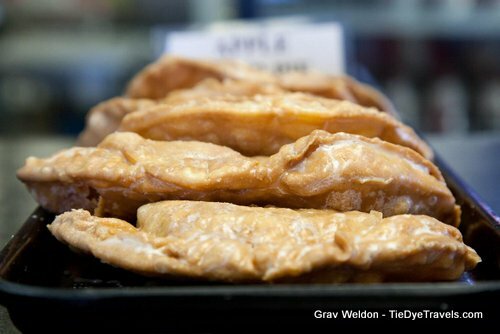 And of course, there are more large pastry items to celebrate, in particular the fried cinnamon rolls and the apple fritters - which are large enough to fit a half-dozen box by theimselves. 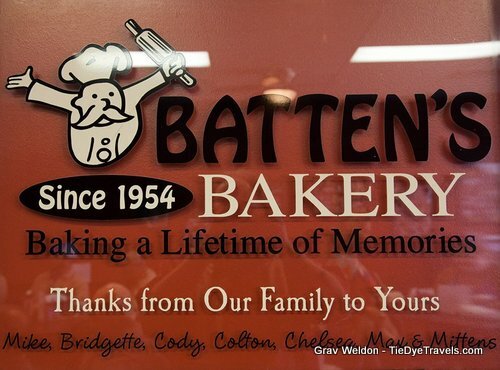 The Battens may not be the original Battens who made Batten's the bakery for Paragould, but they are continuing a tradition that dates back nearly 60 years. Be sure to drop in next time you're in the area. 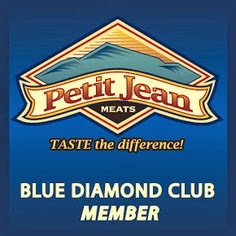 For more information, check out the bakery's Facebook. 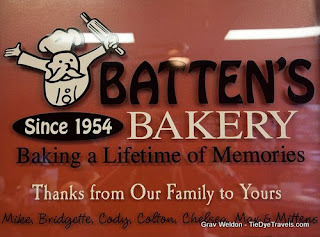 UPDATE: Thanks to great comments by Paragould natives, the locations for early Batten's Bakery sites have been updated. UPDATE #2: Wow... for some reason, between May 17th and 19th, 2017, this particular page has received 10,000 pageviews. Amazing. 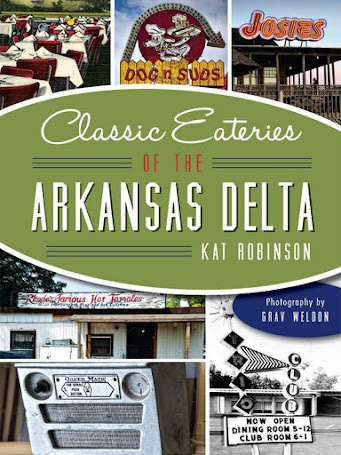 For more stories like this, check out Classic Eateries of the Arkansas Delta, by this author. Before Batten's was kitty corner to Dog n Suds, they were farther west on West Kingshiway, in the center of the block across the street from where Unico Bank is now located. Good story, but factually wrong. Mr. Batten had his donut shop on West Kingshighway many years right across from Unico Bank. It was until many years later that it moved across from Dog n Suds. Certainly many many years later than the 60's. Still a great story and a great donut shop! THE best fried pies and cinnamon rolls EVAH!! In the 70's and 80's, Batten's was located in that strip where Affordable Hone Health is. The original Batten's was on Thompson between 7th and 8th St. 4 houses down from mine. As a child me and my brother would go down there and if we timed it just right he would give us a hot doughnut straight off the cooling stick! I love Batten's bakery. They have the most amazing old fashioned chocolate fried pie. That is my all-time favorite. It is a Saturday morning treat for my family to go to Batten's. 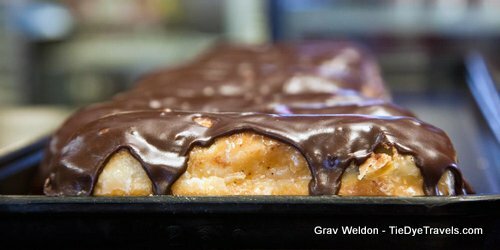 We always get a dozen donut holes, a bavarian cream filled long john, an old fashioned chocolate fried pie and a double biscuit and gravy. Batten's was never in the building in the first pic, and moved to the building in the second pic in the late 80's or early 90's. Thank you all for your comments and corrections! Now I can refine the story. Batten's is the only donut shop to get homemade donuts ALMOST as good as my mother's donuts were...She made hers with mashed potatoes..melt in your mouth...and BAtten's is right up there! No place any better! Batten's is the ONLY donut shop that makes donuts almost as good as my mother used to make! She made hers with mashed potatoes! Batten's has the best donuts ANYWHERE ! 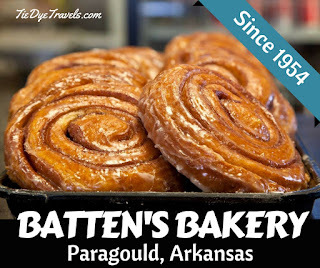 My first Batten's was in 1960 - Mr. Batten would deliver a tray of hot donuts to Lamb's cafeteria each morning. My grandad would go there in the morning to have coffee with his friends and I got to tag along once in a while. Still the best donut's ever. Bought a lot from his Kingshighway location between 5th and 6th street and from Bonnie after she bought the business and moved it to East Kingshighway.